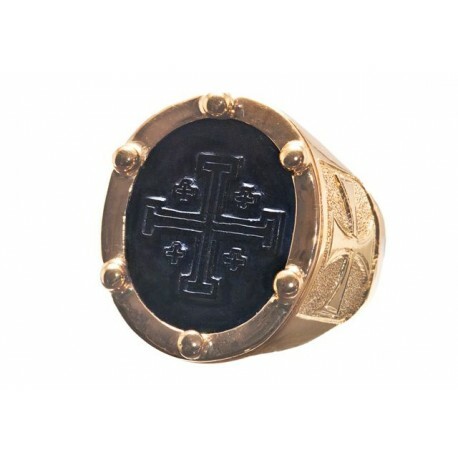 Jerusalem cross ring featuring a hand carved Black Onyx cross on gold plated sterling silver 925 with Templar Cross shoulder designs. 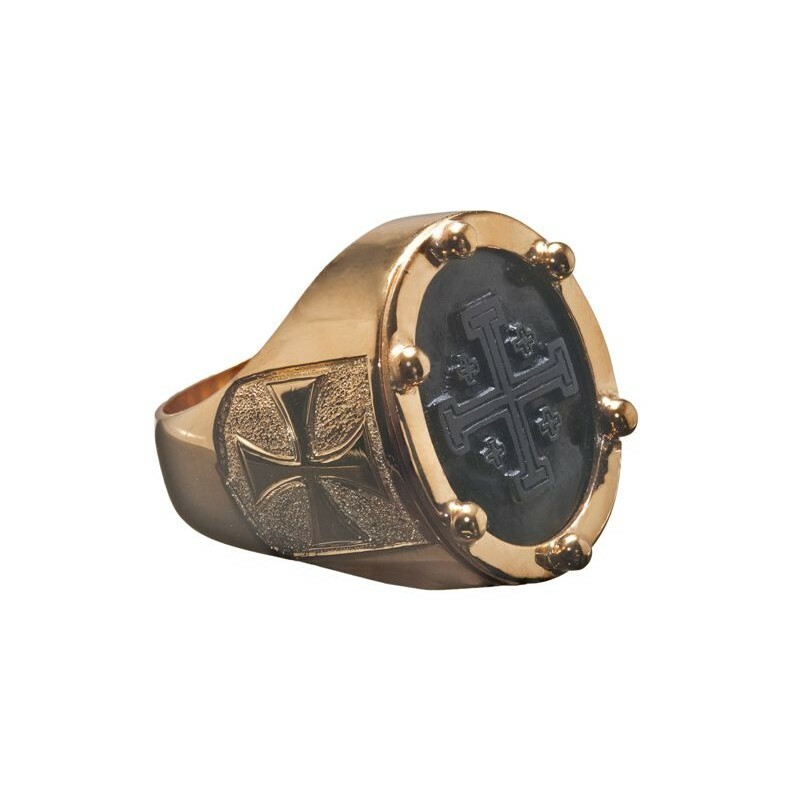 Jerusalem cross ring, hand sculpted from black onyx with 6 balls protecting the ring face creates this stylish heraldic ring. 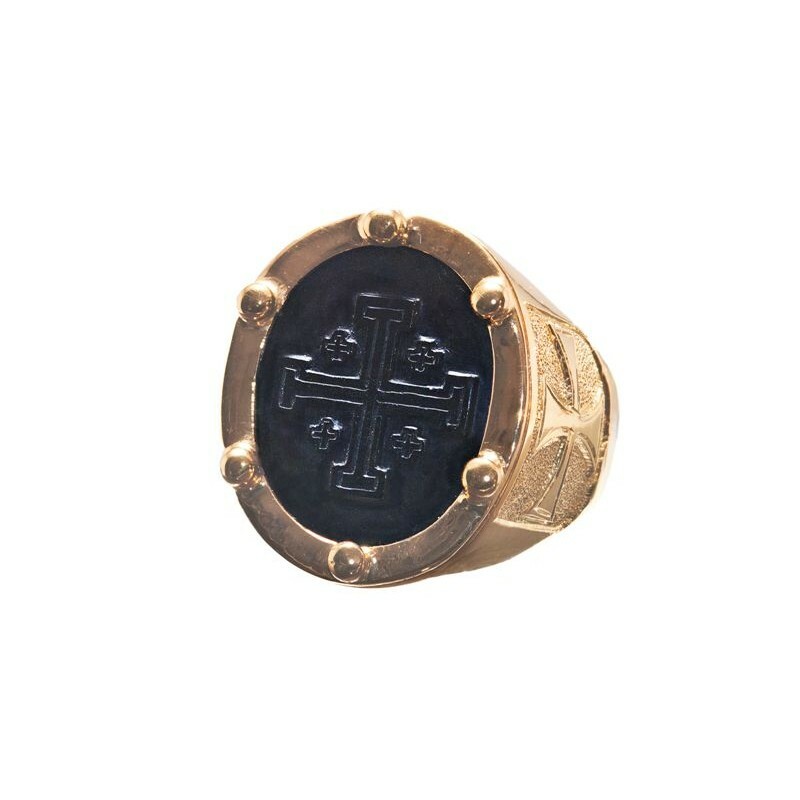 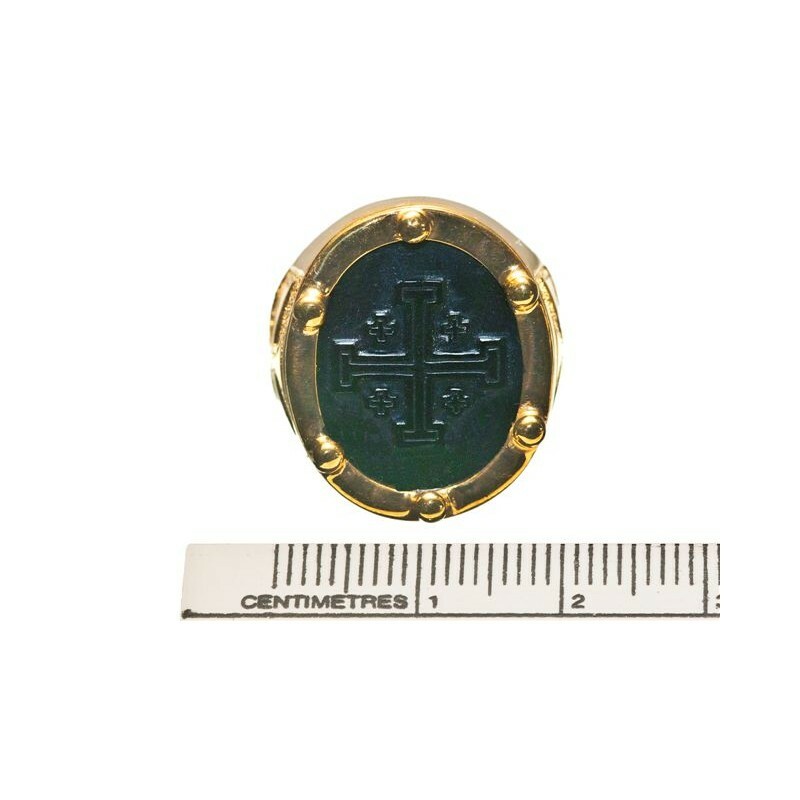 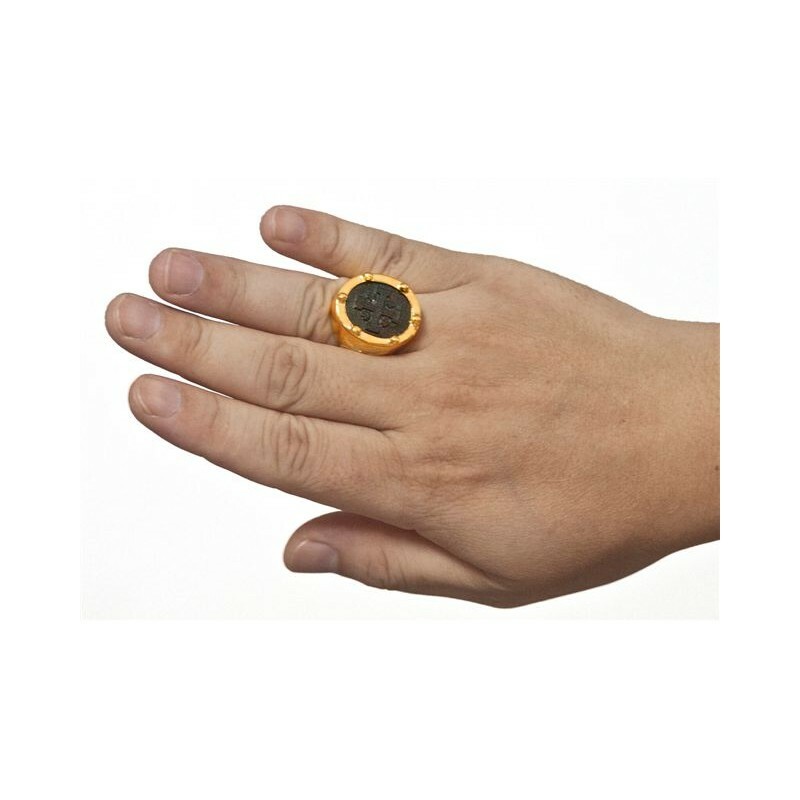 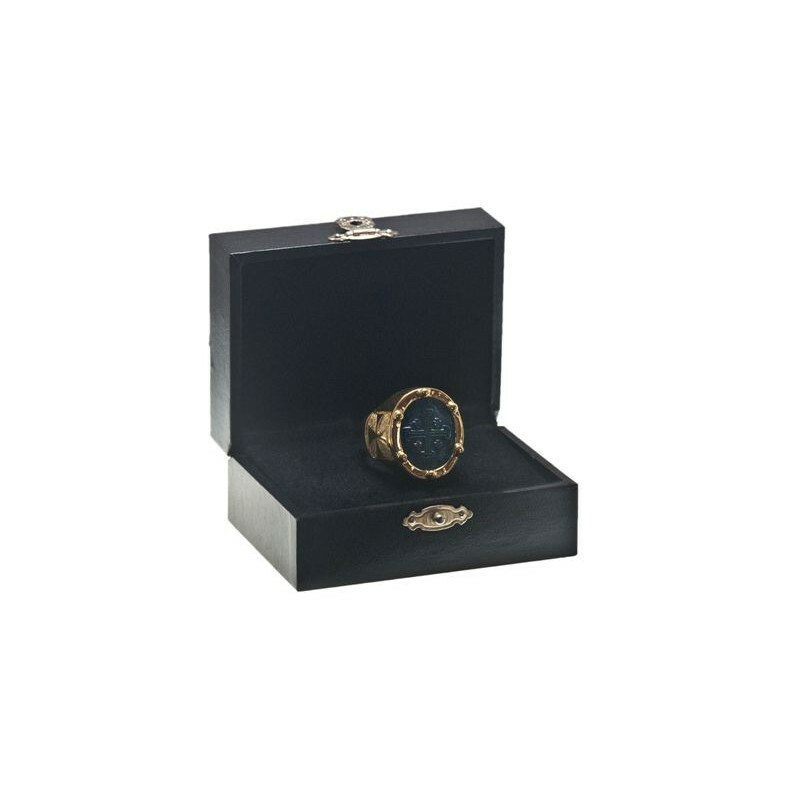 The oval is mounted to a gold plated sterling silver chassis with Templar cross shoulder embellishments to create a wonderful and unique ring. 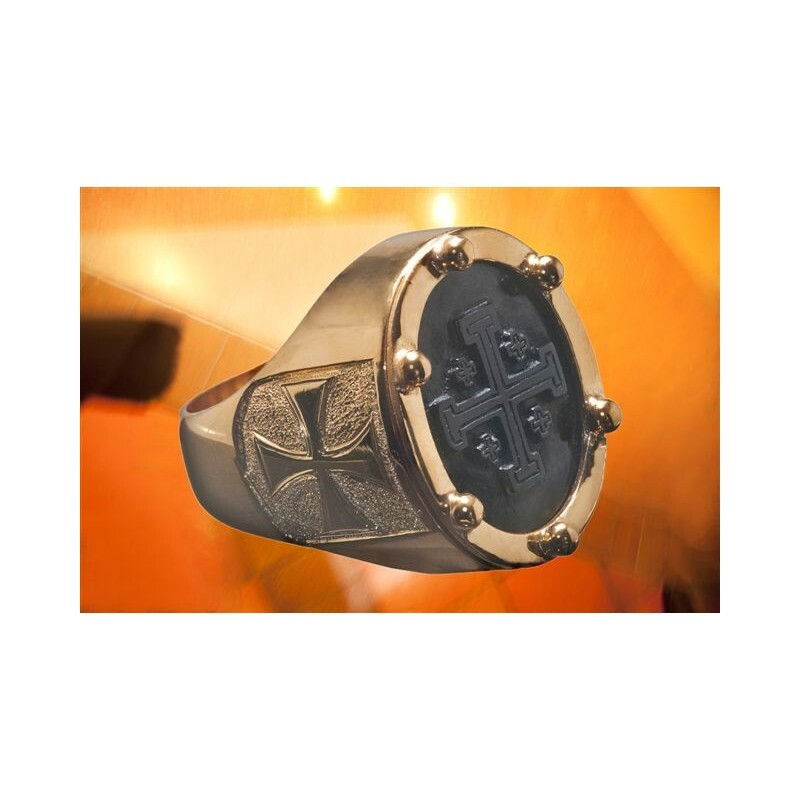 That's why this high quality Regnas Jerusalem Cross ring is so affordable.